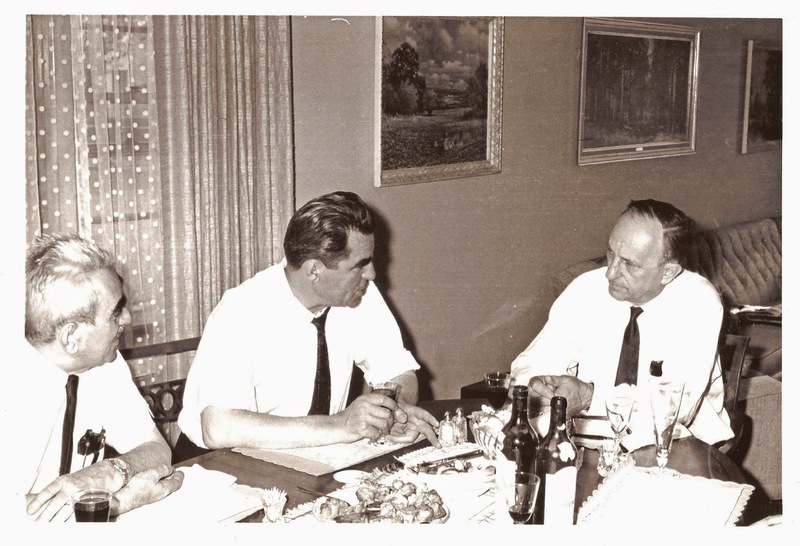 Aleksandra's Note: From 1960 to 1968, my father Rade Rebic was the Secretary of Voyvoda Momchilo Djujich's "Movement of Serbian Chetniks Ravne Gore" organization. 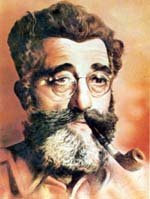 He remained a close and trusted confidant of Voyvoda's until the day Momchilo Djujich died, on September 11, 1999. The following is a personal story of my father's that I had not been aware of. I'm thankful to have the opportunity to share it with you. 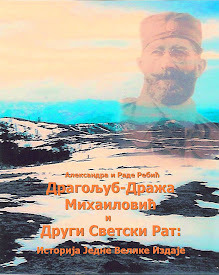 It is personal stories such as this that provide insight into the "man" that Voyvoda Djujich was, as well as being one of the great Chetnik commanders in Serbian history whose legacy continues to live and breathe in Serbian patriots throughout the world. 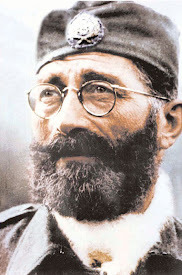 A great giant of Serbian history passed away 15 years ago, in 1999, on September 11th. 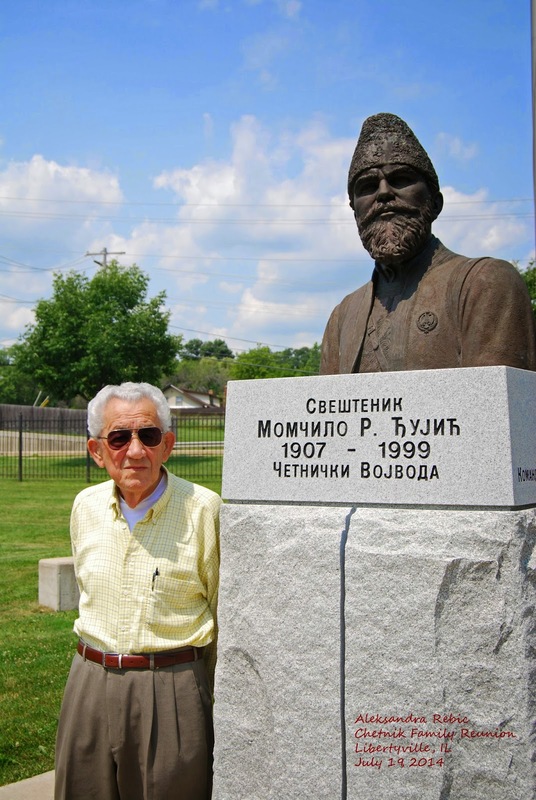 I met Chetnik commander Voyvoda Momchilo Djujich for the first time when I was 19 years old. 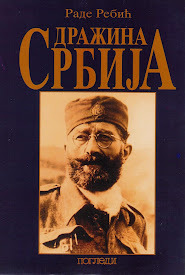 It was at the end of December 1944, when he brought his Dinarska Divizija (Dinara Division) to Gacka Dolina in Lika, where my Chetnik unit was stationed at that time during WWII in the former Yugoslavia. 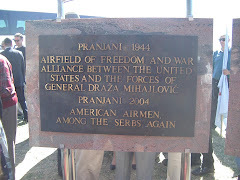 I was not part of the Dinarska Divizija, but after that our paths crossed quite a few times. It is one of these times that I remember best. After the war ended, I resumed my schooling in the Displaced Person's camps. I had just completed the 8th grade of gimnazija (Velika matura) (Senior year of High School) in the camp in Eboli, Italy in June 1946. At that time the school had no funds, except for the most basic essentials. The directors of the school asked each of us graduates, myself included, to pay 200 Liras for printing our invididual Diplomas. I did not have 200 Liras. As a matter of fact, I did not have one Lira, so I went to the HQ of my Regiment to see if they could help me. They couldn’t. So, I started back to my tent, sad and disappointed. I had put in a lot of effort to complete the 6th, 7th, and 8th grade of Gimnazija (Sophomore, Junior, and Senior years of High School) in this camp and was to end up without any official document confirming that I had done so. On the way back to my tent I ran into a friend, Sinisha Chenich, who looked at my face and asked, “What is the matter with you?" “Go to your tent and I’ll be there shortly,” he said. 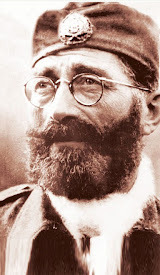 Sinisha went to the HQ of his Division and found there Voyvoda Djujich and a few others. He told Voyvoda about my case. There were 14 of them, and the Division was paying for all of their Diplomas. So, I got my Diploma, my ticket to later studies in Germany and the USA. 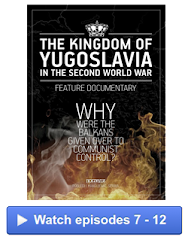 Voyvoda was not only a giant of Serbian history, he was a visionary, not just in this case but in many, many others. 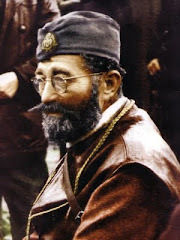 His vision, combined with a sense of responsibility for the men he brought out of our tragic country, was responsible for building many Serbian Orthodox churches, cultural centers, and institutions in many parts of the world. They all proudly carry a Serbian name. 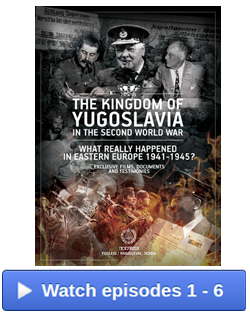 Way back then in 1946, as a young veteran of WWII, I thanked Voyvoda for the great favor he did for me. Now, almost 70 years later, I thank him again on this day, September 11, 2014, the 15th anniversary of his passing. 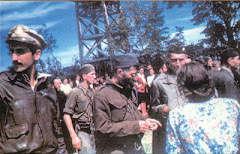 Three great leaders in the "Movement of Serbian Chetniks Ravne Gore,"
in Mount Prospect, IL mid 1960's. 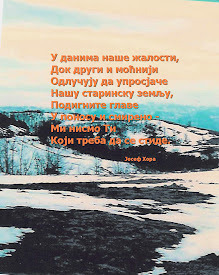 Photo courtesy of Rade Rebic.